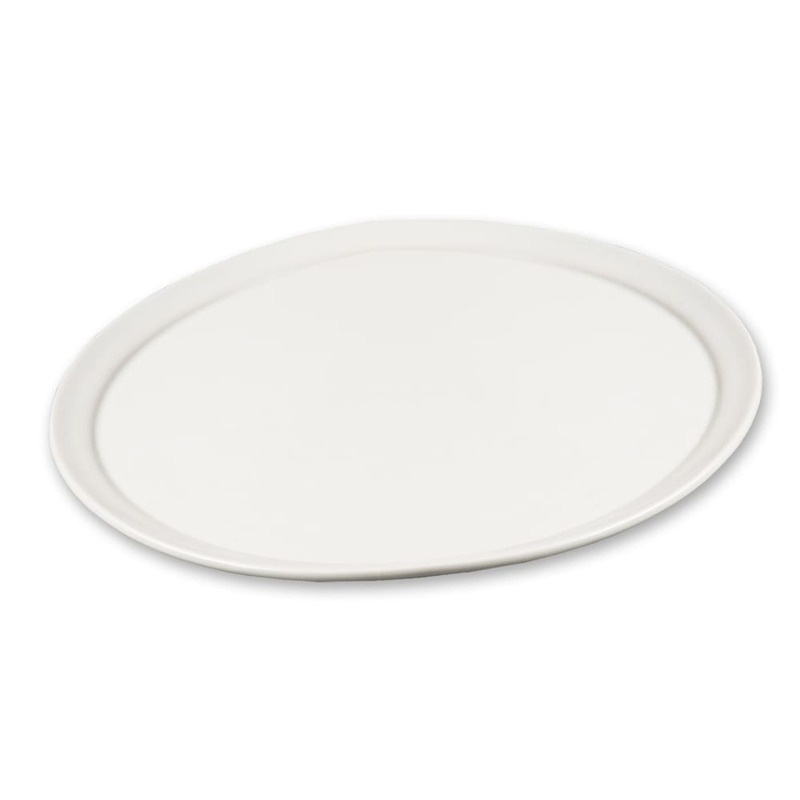 The American Metalcraft CERAM12 pizza tray is made of ceramic, which resists heat damage. Grease, sauce, and cheese are kept off tabletops by its raised edges. 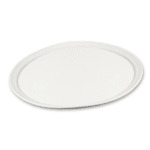 This tray comes in white and has a 12-inch diameter.